Antimicrobial use on farms is about to change for animals across the US, writes Rachel Lane. Beginning in January 2017, revised Veterinary Feed Directive regulations by the US’s Food and Drug Administration (FDA) will reduce use of antimicrobials in animals. Specifically, the new rules will make it illegal to use any antimicrobial drug that is medically important to humans for growth or to improve feed efficiency in animals. Use of these drugs to treat, control or prevent diseases in animals will need veterinarian oversight. The regulations are being put in place to try and limit the problem of resistance in pathogens to antimicrobial drugs, which renders the drugs ineffective and puts lives in danger. The issue of antimicrobial resistance is currently under the spotlight, as a meeting at the United Nations’ General Assembly gets under way on 21st September to try and tackle the development of the superbugs. It is only the fourth time in the history of the UN that a health topic has been discussed at the General Assembly, showing the seriousness of the situation. Juan Lubroth, chief veterinary officer for the UN’s Food and Agriculture Organisation, says blaming any one group for the problem of antimicrobial resistance, such as farm animals, is a mistake. “The bug doesn’t know if it’s in a human, a horse or a cow,” Mr Lubroth said. However, the organisation recognised the need to reduce the use of antibiotics in all areas, as limiting use of antibiotics is the fastest and most reliable way to prevent antimicrobial resistance getting worse. The US’s new rules should help reduce antibiotic use in agriculture and therefore should contribute to reducing the development of resistant disease-causing microbes, but there have been concerns about the implementation of the regulations. Will medicines be available for less common food animals? The FDA has been working with the companies who provide the drugs on a voluntary basis, to change labels in line with the new rules. 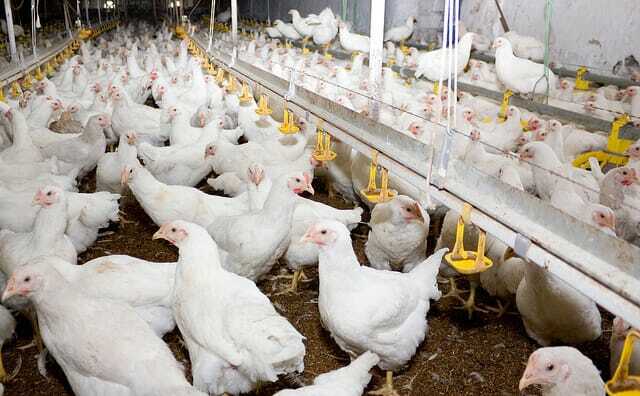 Farmers are going to be required to use antimicrobials exactly as directed on the labels, which causes concern for producers of minor animals. 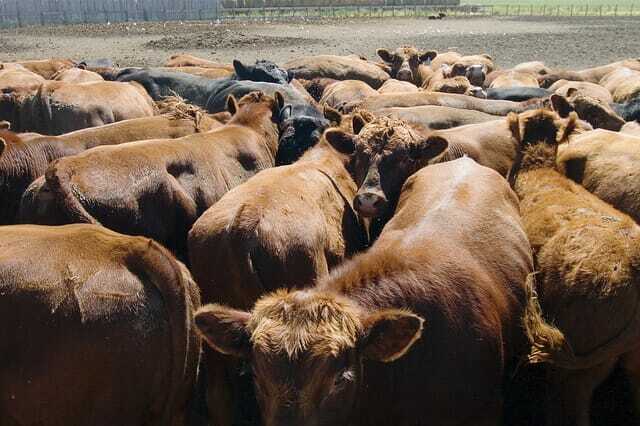 “They’re such a small portion of the livestock out there, medications used aren’t labelled for them,” said Beth Carlson, Deputy State Veterinarian at the North Dakota Department of Agriculture. Ms Carlson has been working as liaison between the FDA and the farmers and veterinarians, providing education to groups to help them meet the new guidelines. “The concern is that there won’t be products available for minor species,” she added. Large species, like cattle, are tested and have specific instructions for use on the labels. It is not cost effective for companies to run extensive tests on all minor species, like sheep, goat and llama, Ms Carlson said. Instead, companies might test a small number of minor animals to make sure there are not major side effects. With about 250 practicing veterinarians in her state, North Dakota, farmers were concerned they would have a sick animal and no way to get a veterinarian to the farm. Ms Carlson said veterinary oversight is defined differently for different states. In general, oversight means a veterinarian needs to see the animals every six months to one year. If the animals then need antimicrobials, the veterinarian can provide electronic prescriptions for the farmers to get the drugs. Of the 250 veterinarians in North Dakota state, only a handful focus on large animals only. About half of the active veterinarians in the state focus only on companion animals. The remaining veterinarians care for a variety of animals. Susan Keller, the North Dakota State Veterinarian, said veterinarian involvement or access to livestock has often been limited by the market value of the animal. Companion animals have owners with an emotional attachment to the animal, making it more likely the owner will allow the veterinarian to perform tests and surgeries to improve or extend the life of a companion animal. “The need to more closely communicate and work with a veterinarian may help prevent the misuse of antibiotics and avoid tissue residues,” she said. Misuse such as ignoring the information on the label, incorrect withdrawal times or off label use of antibiotics, may contribute to some antibiotic resistance. Are the new rules good for animals? Ms Carlson said some veterinarians think the increased oversight is a good thing because some farmers aren’t as careful as they should be about use of antibiotics. There are conditions that don’t respond or need to be treated extra label, she said. However, Ms Carlson suggested that the authorities have not communicated the benefits of the new rules to animal agriculture as well as they could have done. More information about the new guidelines can be found on the FDA’s website at www.fda.gov.